Out with the Old. In with the Old. Grad Bag is a green initiative to reuse college dorm supplies. 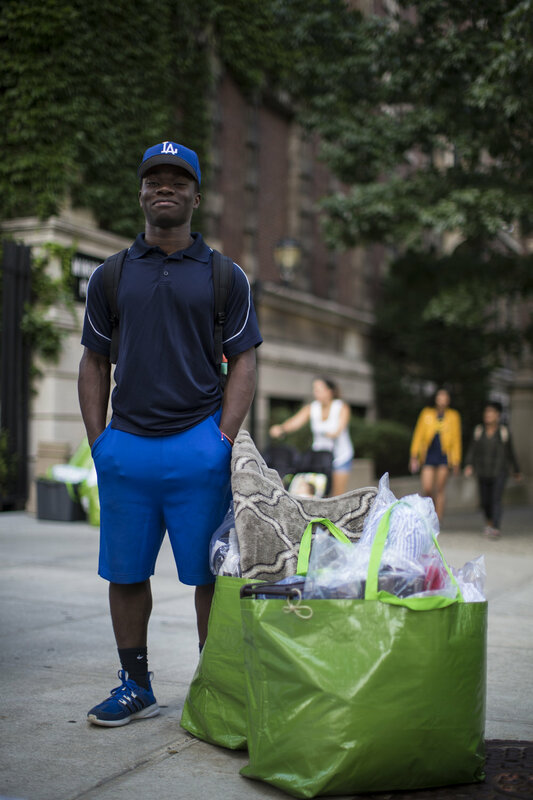 We collect and redistribute lightly-used dorm room items that too often end up in landfills and give them to incoming college freshmen from low-income households. We partner with a number of Colleges and Universities in the North East. Sustainability groups at these schools organize collections of dorm supplies from outgoing students and we come in and scoop it all up. Then we clean, refurbish, and package all the items so they are as good as new. Now for the fun part. In early August before incoming freshmen head off to school, we set up a "pop-up shop" where we give it all away to low-income students. Currently we partner with Let's Get Ready and Yonkers Partners in Education and set up our shops during their transition day workshops.